Instagram used to be the place on social media where people posted selfies and brands posted pictures of products. But since 2016, Instagram has been following in Snapchat’s footsteps by launching their own “Stories” format along with image posting. There is, however, one key difference. Unlike Snapchat whose story contents disappear almost instantly “[Instagram] Stories allow users to create a feed of sequential content that disappears within 24 hours of being posted,” according to an article written by Brent Barnhart on Sprout Social. This content ranges from a sequence of still photos to videos, and is a new way for businesses to engage with their customers and get them interested in their products and services. In short, if your business hasn’t delved much into Instagram before, it’s time to change that. Instagram Stories are an excellent way to bolster your business’s social media presence and also catch the eye of your audience. Behind-the-scenes footage: Let your customers in on what goes on during a typical workday. Give a tour of your office and introduce some of your employees. Maybe even give them a sneak peek of a project that’s in the works. Customers expect brands to have a more personal, human touch now with social media and giving them a look at the people and environment behind the brand is a way to do just that. Showcase your products: Create a sequence of photos containing products you want to promote. They can be your newest ones on the market, ones you’re offering at a discount, or your customers’ favourites (which you can find out by polling them). Whatever choice you make, showcasing products you offer is a great use of the Instagram Stories format. Go live at events: Using Instagram Stories to broadcast to your followers/customers live at events is a way to build camaraderie with them and also give your brand more exposure in the process. 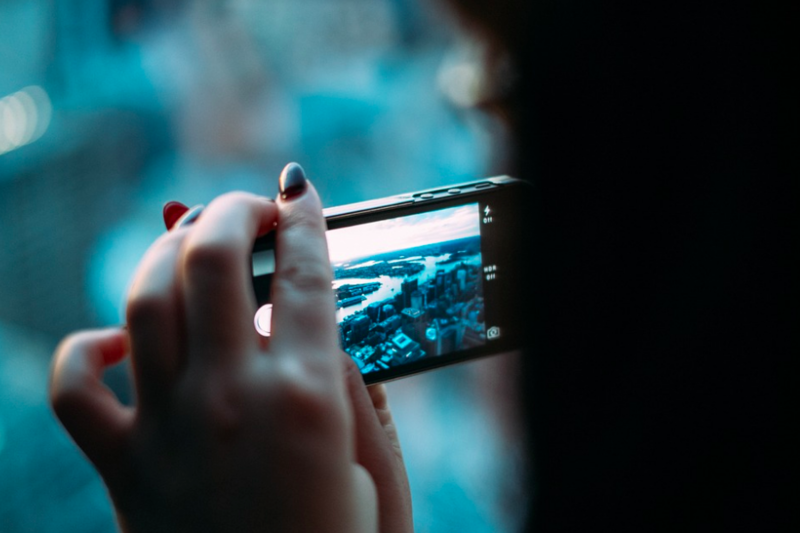 Live video showing everything up-to-the-minute in real-time has taken the internet by storm and something you should greatly consider when deciding to work with Instagram Stories. Along with Stories and photos, Instagram offers other features to help you interact with your audience, such as a polling feature for prompt feedback and a Q&A feature. While you can do a Q&A the typical way by answering customers’ questions or comments as they come in live on your Instagram Story, you can also do one through use of the Questions sticker. According to an article written by Anna Hensel on VentureBeat, just “select the questions sticker, and then type the question [you want your] followers to answer.” This can be about how satisfied they are with your brand/products/services or even a simple, ‘how are you doing today?’. Finally, there’s the feature known as Instagram TV, or IGTV for short. This is something that just launched in June 2018 and according to Instagram themselves, “[is an] app for watching long-form, vertical video from your favourite Instagram creators.” Offered as a separate app and through Instagram itself, IGTV is perfect for those brands that enjoy posting long-form content. In fact, videos posted on IGTV can be up to an hour in length. From its beginnings as a photo-sharing site to a multi-use platform, Instagram is about to become every brand’s new best friend.